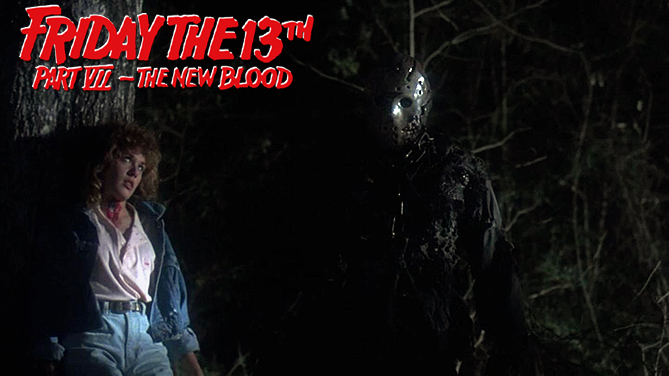 Home / Screening / 30th Anniversary Screening Of Friday The 13th Part 7: The New Blood Takes Place This Week! 30th Anniversary Screening Of Friday The 13th Part 7: The New Blood Takes Place This Week! In order to celebrate The New Blood's 30th anniversary, Director John Carl Buechler, Kane Hodder and other cast members such as John Otrin (John Shepard), Heidi Kozak (Sandra) and more will be on hand for a Q&A at this Thursday's "Fears and Beers" Screamfest screening of the film in Los Angeles. The screening will take place at the TCL Chinese 6 in Hollywood, this Thursday, January 11th at 7:30 pm. The Q&A will take place after the film has ended. For more information and ticket prices, please visit the Event Page.